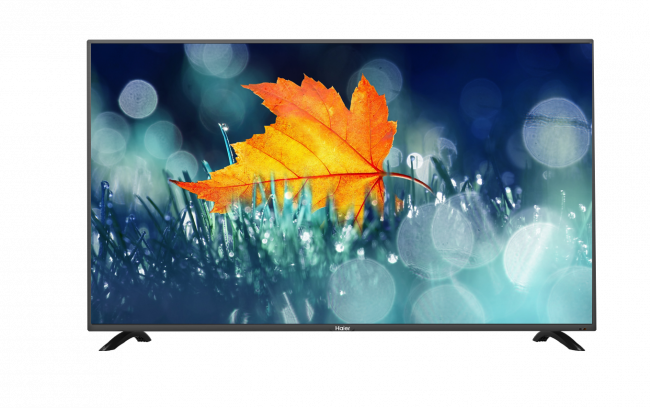 Haier has launched two Easy Connect LED televisions in India (B9200WB series). The two new LED TV models LE43B9200WB (108cm–Full HD) and LE32B9200WB (80cm-HD) come with the Smart Share feature. The Smart Share feature gives the Android mobile users a smart way of screening their mobile content on the large screen of the LED TV without internet connectivity options like Wi-Fi or Bluetooth. Users can simply follow the process of turning on pre-loaded app like Smart View or Screen Mirroring on their Android mobile phones to connect with the built-in Smart Share (Miracast) feature in the new Haier Easy Connect LED TV to stream their favourite content like movies, music, videos and photos. The users needn’t worry about setting up a Wi-Fi connection at home to stream their desired content on the TV. Using mobile data, they can easily mirror their smartphone content on the new Haier Easy Connect LED TV. The new Haier LE43B9200WB LED TV comes with Full HD resolution of 1920x1080p with a 16:9 aspect ratio with better brightness and contrast. Integrated with 10Wx2 stereo speakers with Dolby digital decoder, the new LED TVs are claimed to produce high-quality audio output. It offers connectivity options like, 3 HDMI inputs and a USB port to enable users to connect several entertainment gadgets. Haier LE32B9200WB LED TV also has an HD resolution of 1366x768p which provides an excellent picture quality. It comes with 10Wx2 sound output & Dolby digital decoder which provides theatre like sound-effect at home and also features the Auto Volume Leveler to control the volume fluctuation. It comes with 2 HDMI inputs and a USB port for better connectivity. The LE32B9200WB 80cm and LE43B9200WB 108cm LED TVs are available across India at an MRP of Rs. 22,990 and Rs. 40,990, respectively.